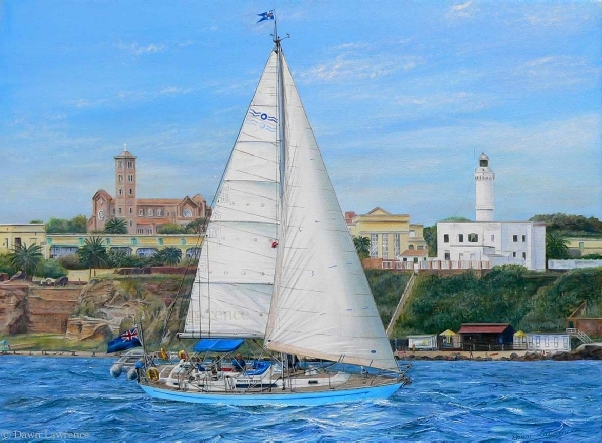 This painting gallery features modern yachts. 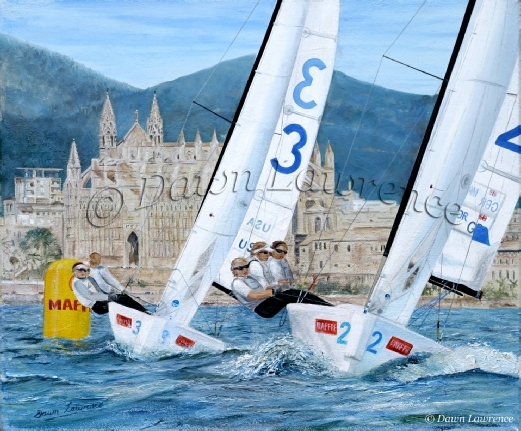 The artwork, Match Race Girls was commissioned for the Olympic Benefit fund to help raise money for the training of Lucy & Kate Macgregor with Annie Lush - 2012 British Sailing Team - Elliott 6m - Womens Match Racing in the 2012 Olympics. 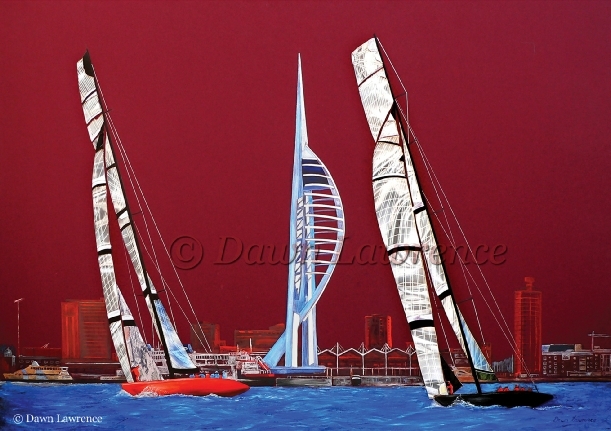 The painting of the Spinnaker Tower, Portsmouth Harbour, was created with mixed media which changes in different lighting conditions.